Hawaii’s cultural history and rich diversity have shaped the islands’ art, design, and architecture styles over the centuries. With influences from Polynesia, the Americas, Japan, China, the Philippines and even Siberia, Hawaii has produced some striking and innovative edifices worth checking out. 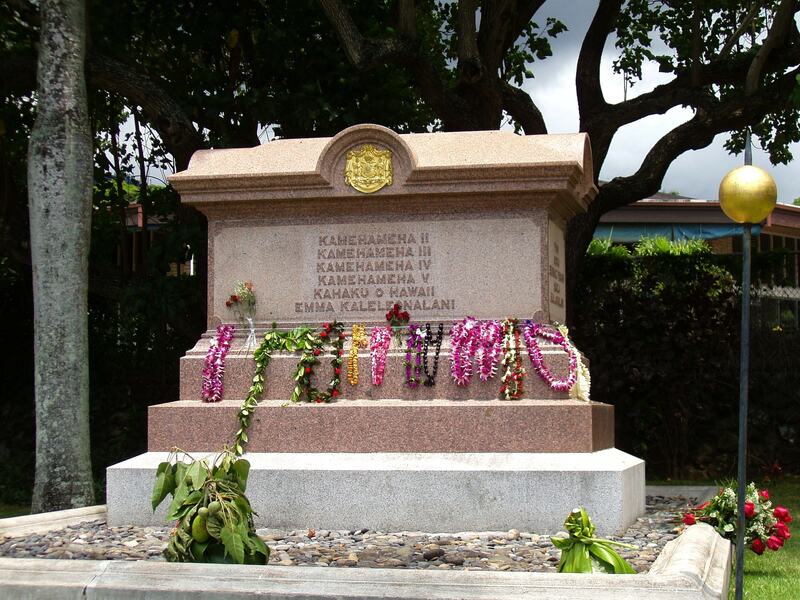 The Royal Mausoleum of Hawaii is the final resting place for members of the Kamehameha Dynasty and the Kalakaua Dynasty. These 2.7 acres, completed in 1864, house the somber tombs of the royal families as well as a small chapel in the Gothic Revival. Located in the lush Nuʻuanu Valley, it’s just next to the public O’ahu Cemetery. Hānaiakamalama was the summer retreat for Queen Emma and her family from 1857 to 1885. Also in the Nu’uanu Valley, it is now an exhibition showcasing the queen’s belongings and royal antiques. The stunning Muslim-inspired palace Shangri La is an early 20th-century Orientalist’s dream. 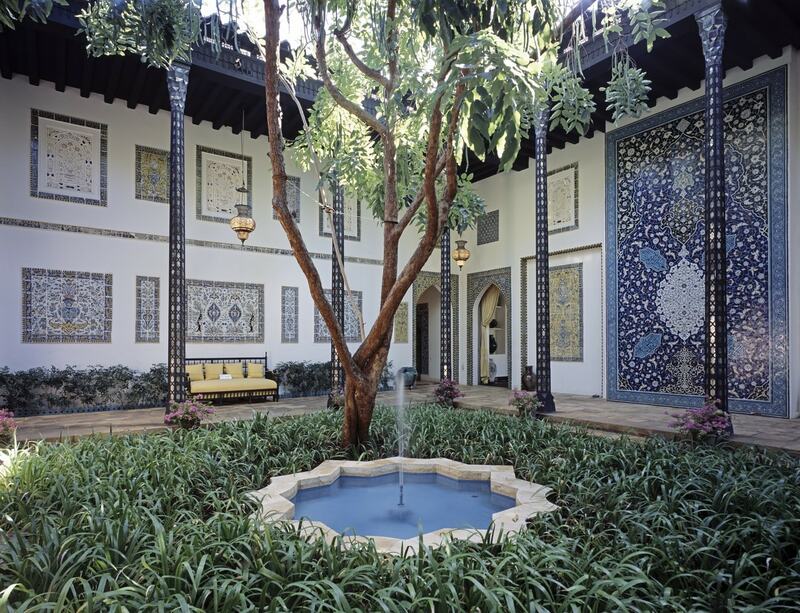 Philanthropist Doris Duke, an heiress to a tobacco fortune, built this shrine to Islamic art in 1938. She spent many years traveling and collecting pieces from Morocco, Syria, Iran, and northern India, and now thankfully, they’re available here for public marvel. You’ll see arabesque wall designs, wooden ceilings, stained-glass windows, and marble. The lounge room was commissioned in Morocco, and her bedroom was inspired by the Taj Mahal. Guided tours are offered Wednesday through Saturday. 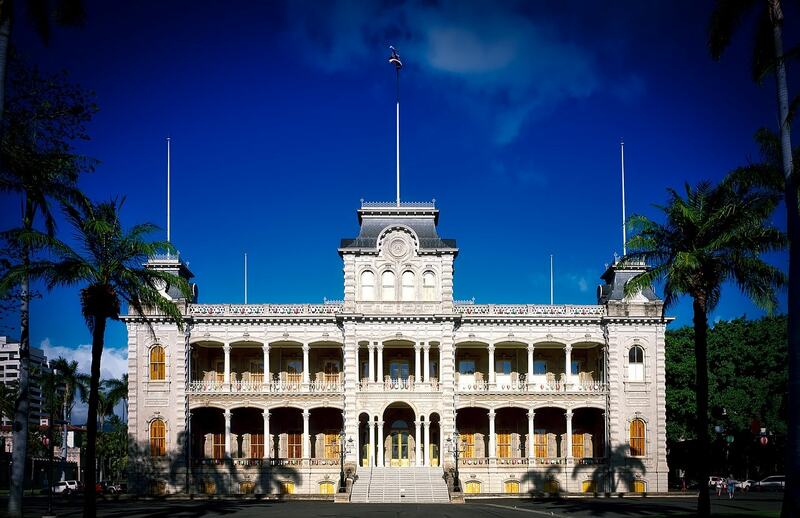 The historic ‘Iolani Palace is one of a kind in the world of architectural innovations. Commissioned in the late 19th-century by King Kalākaua, it was built in a unique architecture style known as American Florentine, seen nowhere else in the world. For years it was the royal residence of the Kings and Queens of Hawaii, and it features a blend of Roman aesthetics with Hawaiian concepts. Curiously, the building was the first structure in Hawaii to have electric lights. ‘Iolani Palace is now a museum, and the public is free to admire the elegant koi wood staircase, private library, petite columns, sensuous curves and wide verandas. The much-acclaimed Honolulu Museum of Art, founded in 1922, houses more than 50,000 works of art, mostly Asian and Hawaiian but also notable works by artists such as Hokusai, Van Gogh, Warhol, and Picasso. The beautiful buildings resemble traditional hale, Hawaiian houses, complete with dark roofs, inner courtyards, and black pathways that resemble lava. This iconic landmark, which opened in 1926, was once one of the tallest buildings in Hawaii, offering incredible views of the harbor. 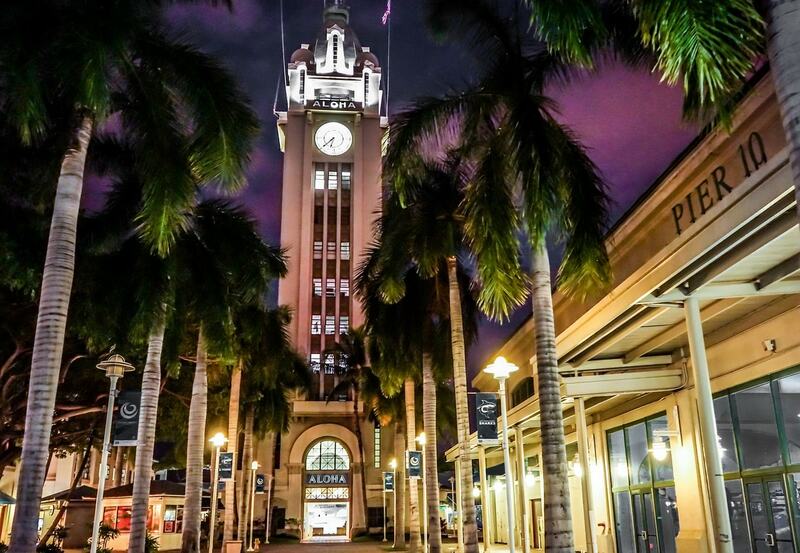 Once serving as a lighthouse to guide incoming boats, these days it’s an indelible feature of the Aloha Tower Marketplace. Designed by Russian-born, Tokyo-raised architect Vladimir Ossipoff, the Liljestrand House is a shining example of contemporary local design. Located on Mount Tantalus, this is a house that’s fully aware of its gorgeous tropical setting. Each room was designed to take full advantage of the breathtaking views of Diamond Head, Pearl Harbor, and Waikiki. The master bedroom is even tilted 45 degrees away to accommodate an adjacent forest of eucalyptus trees. How’s that for blending in with the surroundings? Built in 1969, the State Capitol is often lauded as one of the most creative government buildings in the United States. 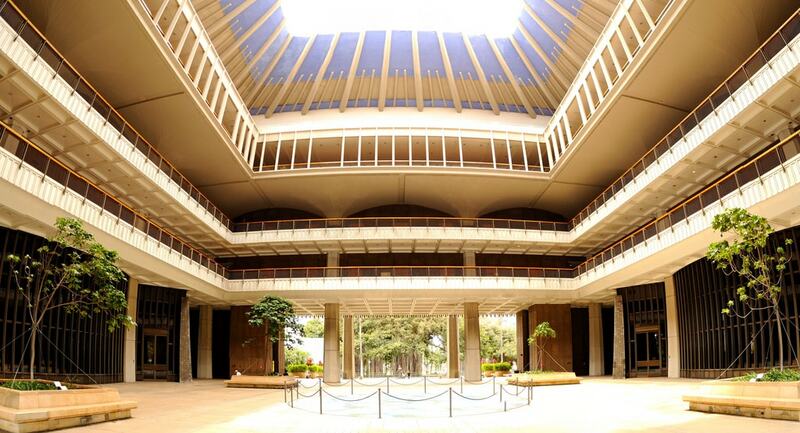 The rooms were carefully designed as a small-scale metaphor for Hawaii: its legislative chambers resemble, architecturally, a volcano, with a chandelier in each room made from 620 nautilus shells, which represent the moon. Furnishings are made from koa wood, and a giant tapestry in sea and sky hues adorns the walls in each room. Outside, 40 concrete columns stand proud as substitute royal palms, and even the water surrounding the building is a metaphor, for the Pacific Ocean. Downtown Honolulu is not all small stores or skyscrapers. 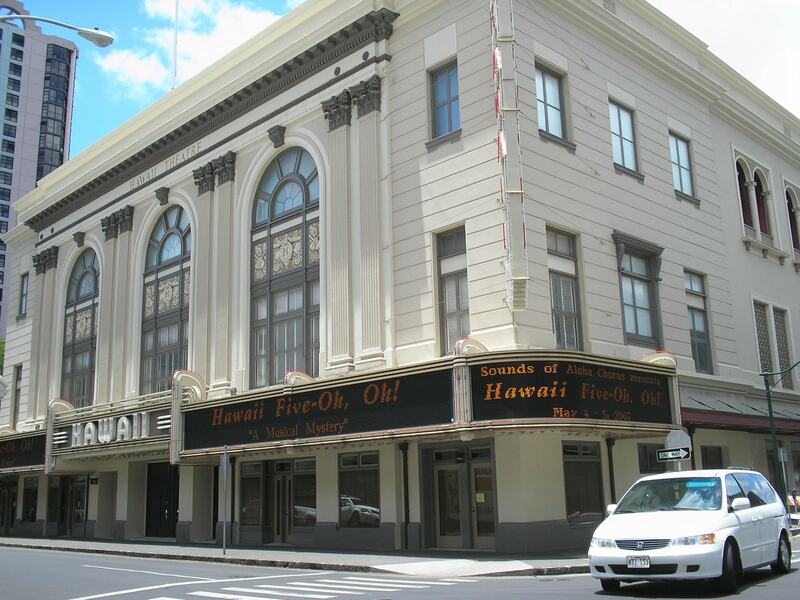 It’s also home to the Hawaii Theatre, a historic Vaudeville theater, and cinema. Constructed in 1922, during the heyday of neoclassical theaters, it has elements of Byzantine, Corinthian, and Moorish decorating the outside—with a splash of Beaux-Arts brightening up the interior. Built in memoriam to the 10,000 men and women from Hawaii who served during WWI, the Waikiki Natatorium War Memorial is a solemn testament to the Beaux-Arts style. In addition to the entrance arch, the natatorium also houses a large saltwater swimming pool, where, during the opening ceremonies in 1927, Olympic gold medalist Duke Kahanamoku swam to mark the occasion. These days, it’s a popular gathering place for locals and is on both the National and State Registers of Historic Places.